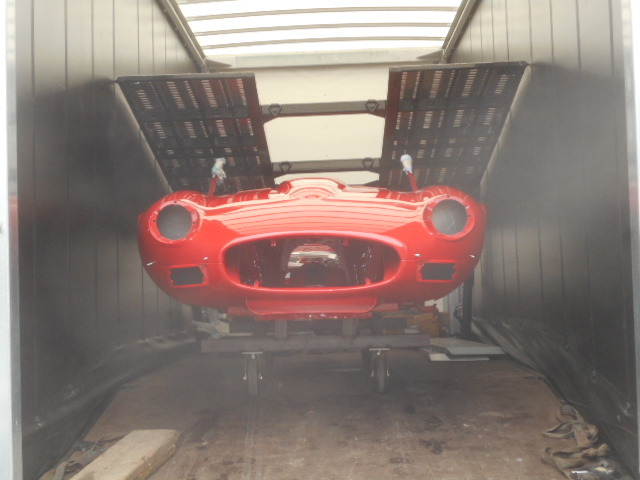 This 1973 V12 E-Type Roadster belongs to a London based customer. 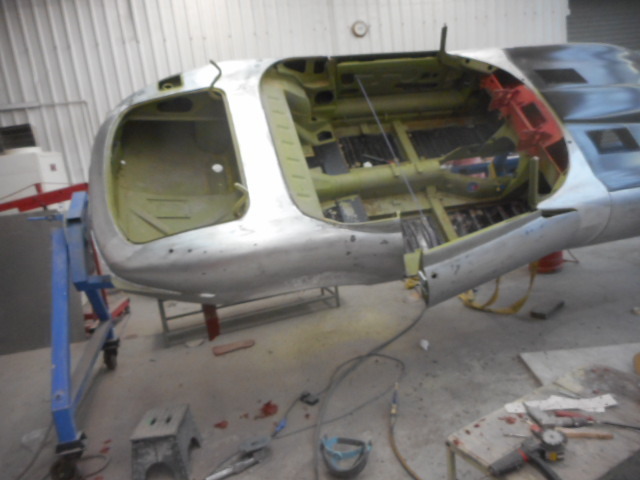 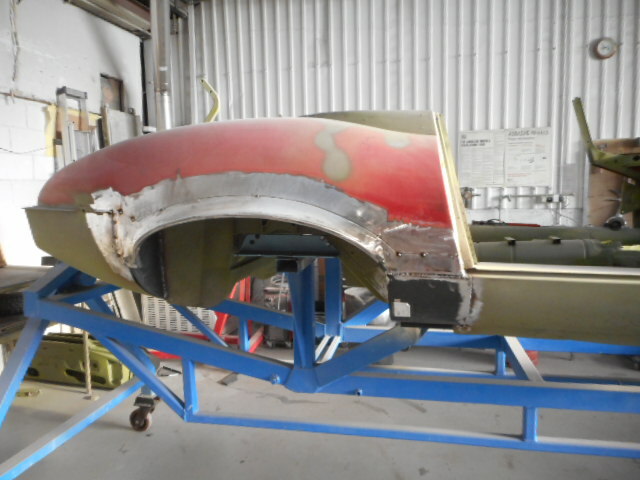 The vehicle arrived at Jules Bodycraft stripped and ready for shot blasting. 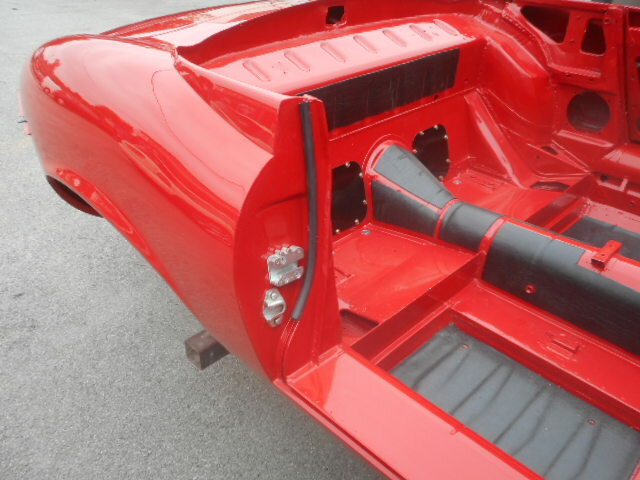 Sills inner and outer rear wheel arches, floor pan sections, sill closing panels and a new bonnet were fitted and paint work was commissioned to a concourse standard. 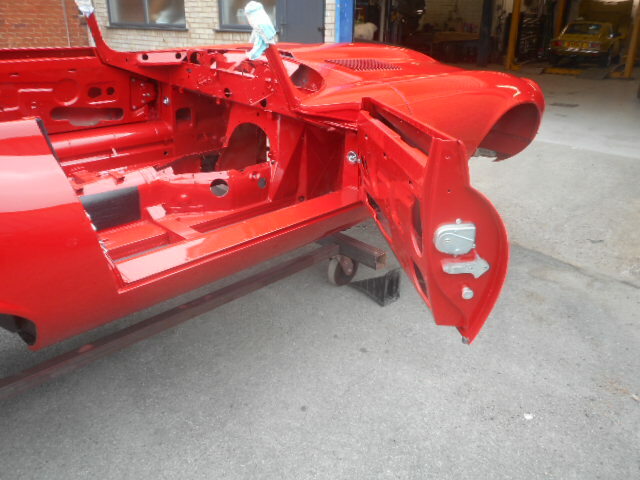 Once this restoration was complete the vehicle was returned to the owner for a re-fit and interior trim. 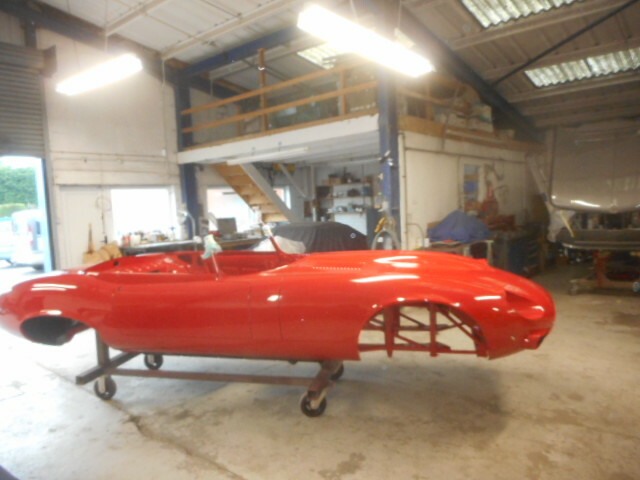 We are now in the process of doing another full restoration for the same customer on a XK 140. 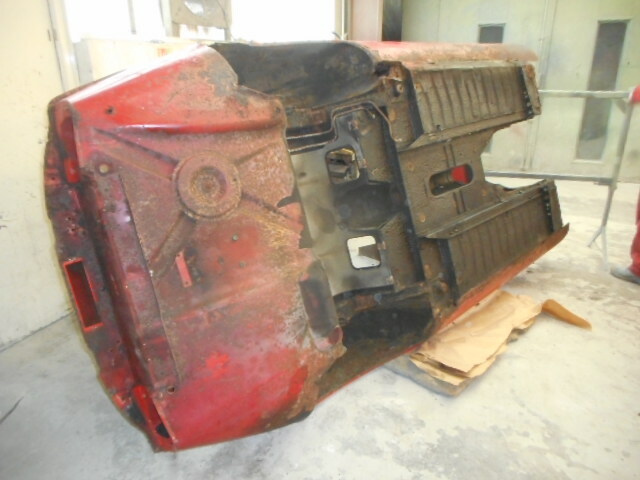 Showing Corroded bulk head of E-Type Jaguar. 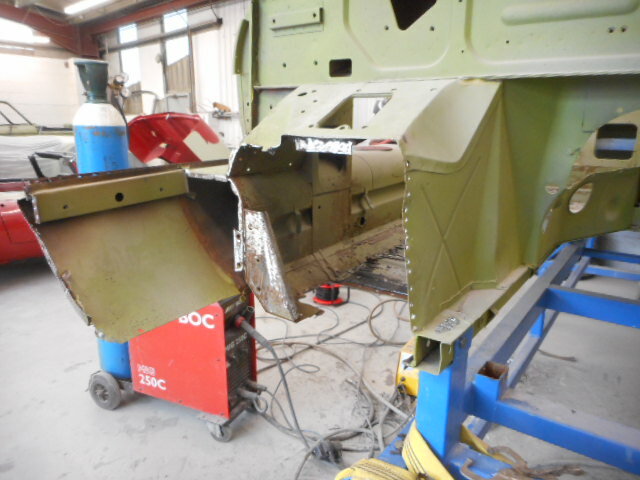 Underside of E-Type Jaguar prior to stripping and shot blasting. 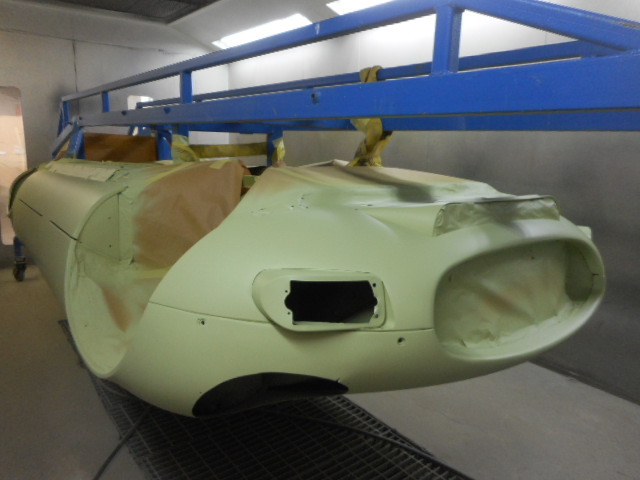 Bulk head of E-Type Jaguar shot blasted at Jules BodyCraft. 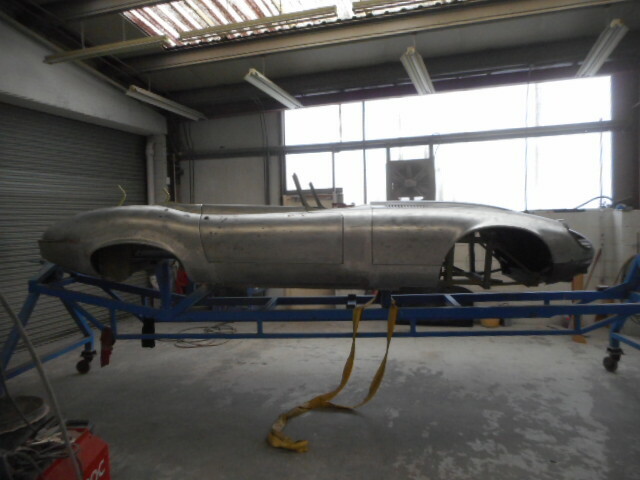 Underside of E-Type Jaguar shot blasted waiting for etch primer. 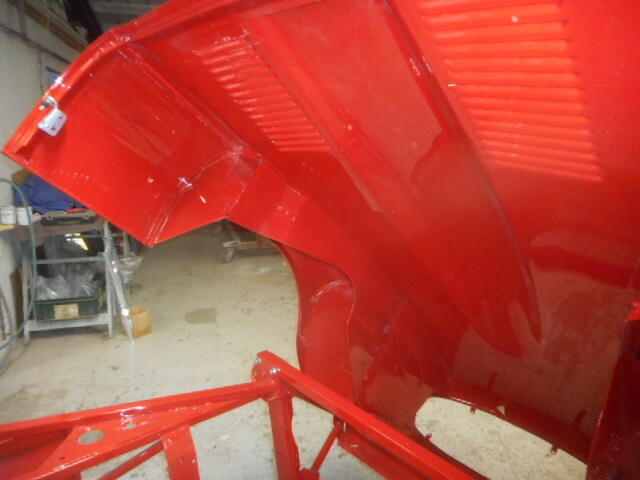 New rear wheel arch and rear sill section being fitted. 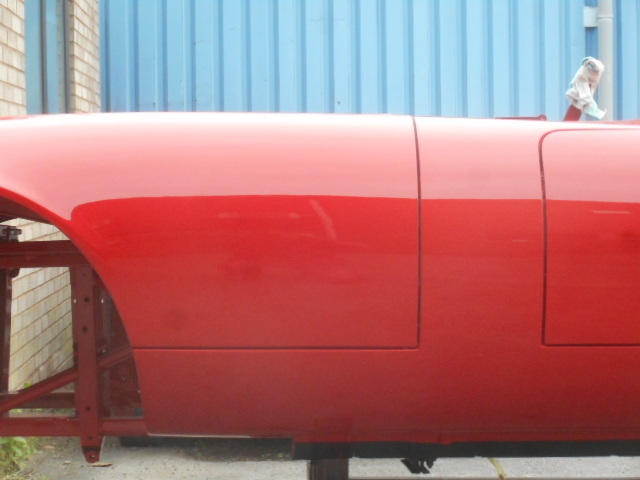 Near side rear sill removed and outer rear wheel, with new inner rear wheel arch fitted. 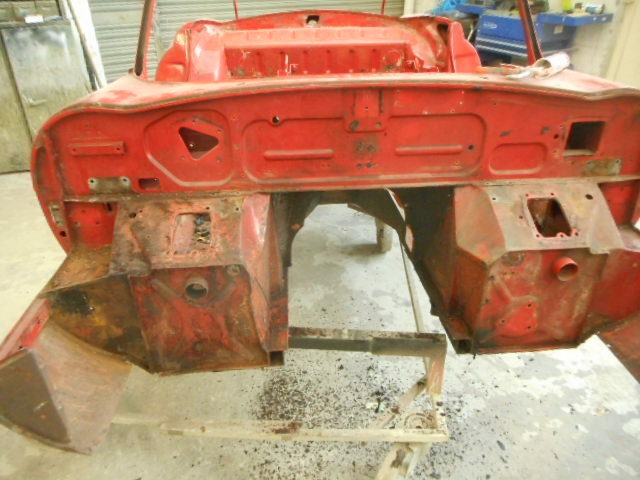 Off side rear panel and floor section removed. 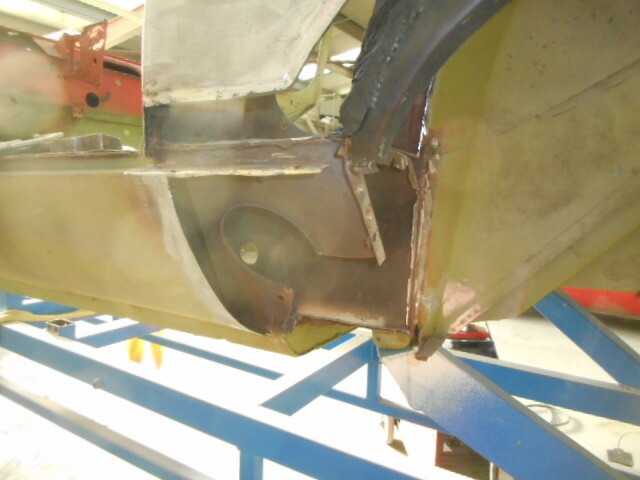 Engine frames re-fitted to E-type jaguar. 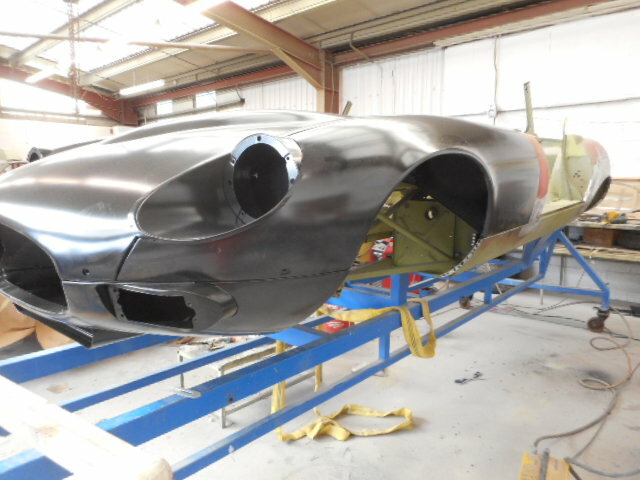 Aligning a new bonnet to the E-Type Jaguar. 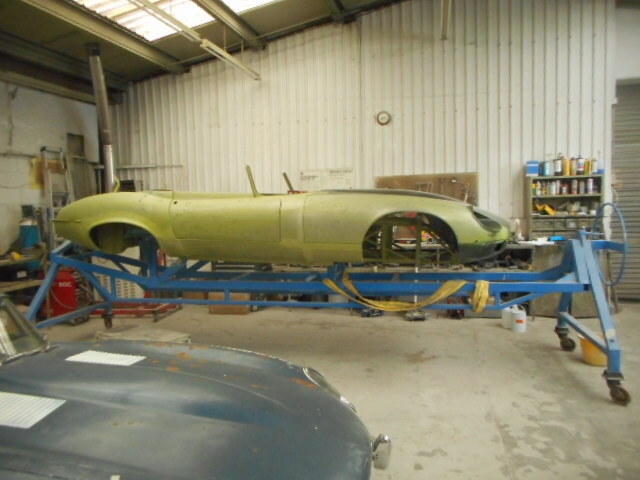 E-Type Jaguar on roll over jig, exterior panel stripped to bare metal, bonnets and door being realigned. 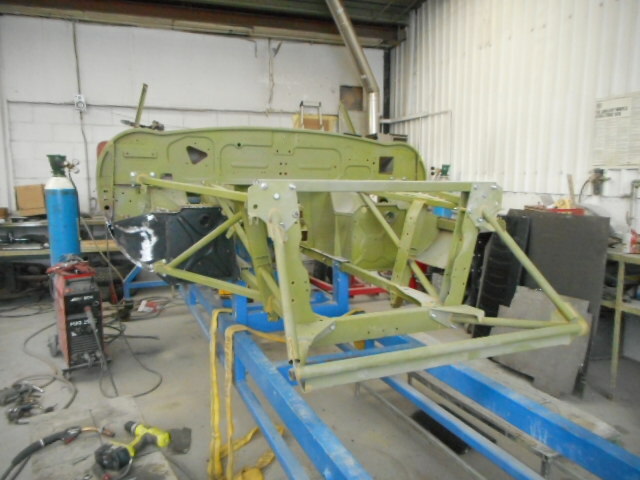 Lead loading finished, body panels all realigned and stripped to metal awaiting etch primer. 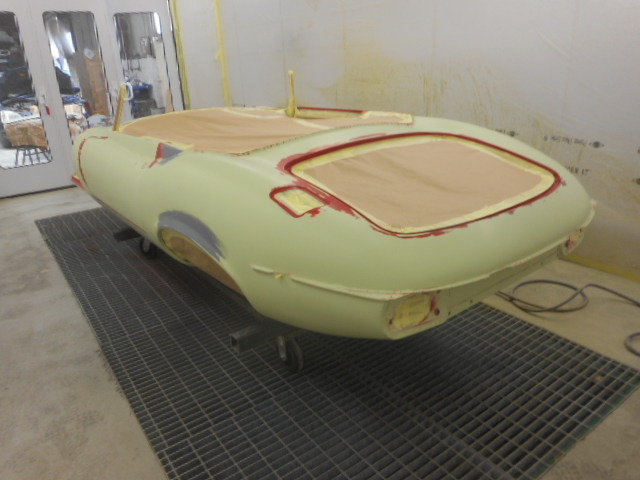 Body of E-type Jaguar etched in primer. 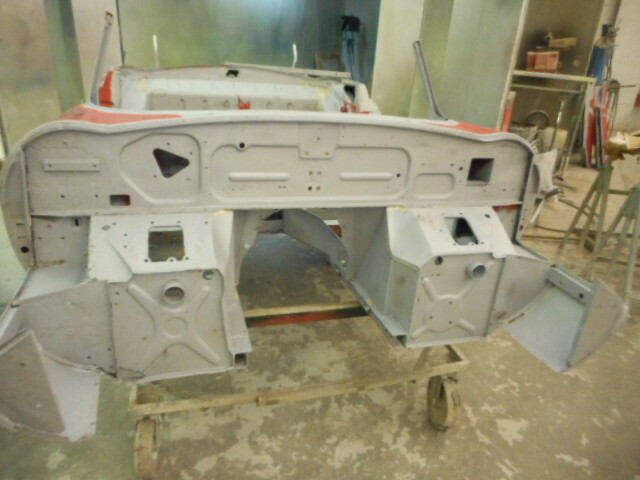 Sill and doors in metallic filler on E-Type Jaguar. 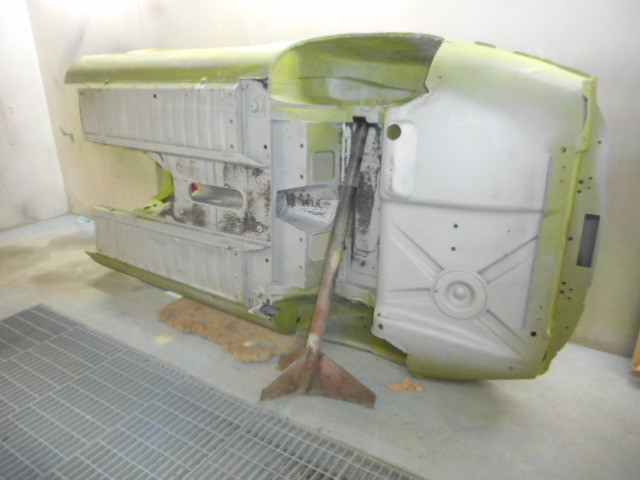 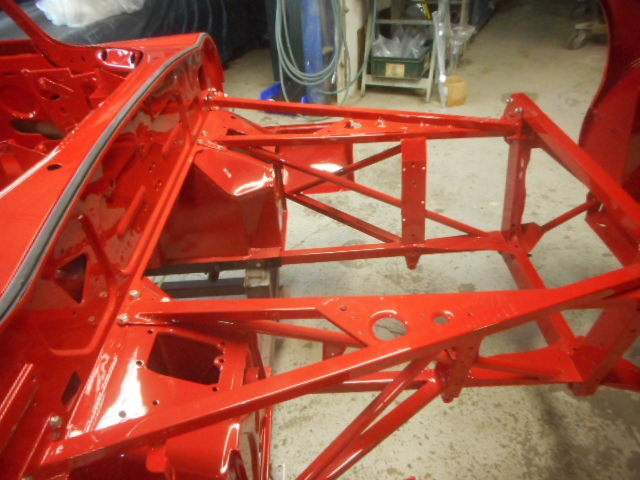 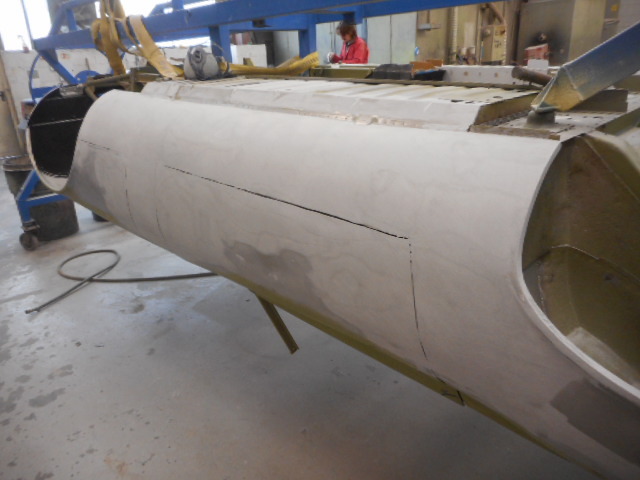 Body of E-Type jaguar on rollover jig – in the spray booth, in undercoat and primer filler. 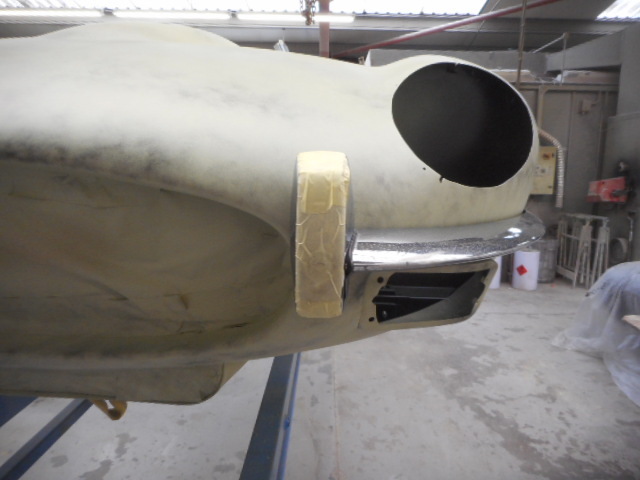 Chrome bumper pre -fitted and ground to fit body correctly. 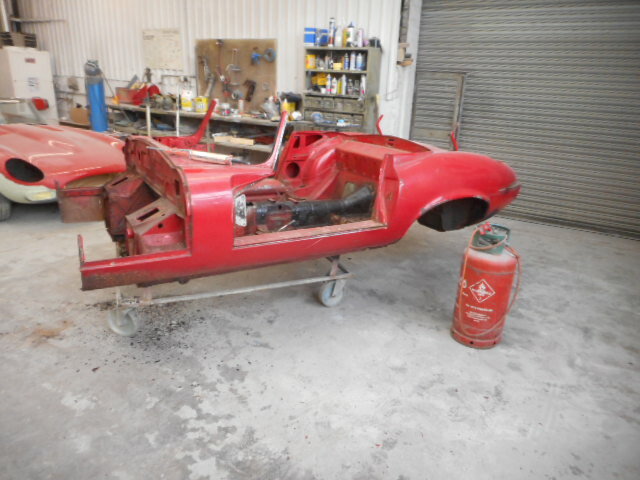 E-Type Jaguar floor in anti-stone chip. 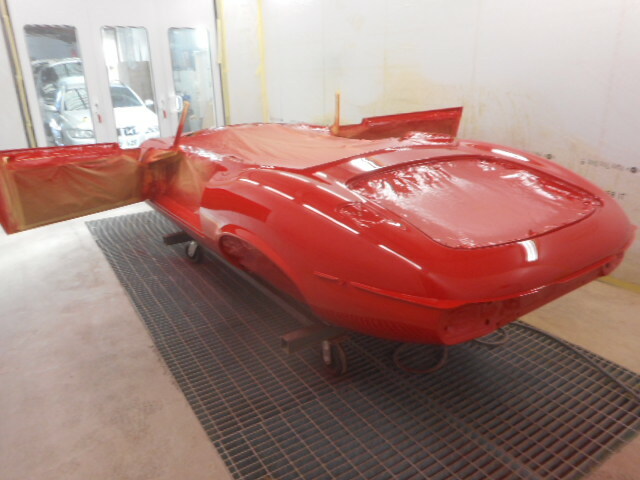 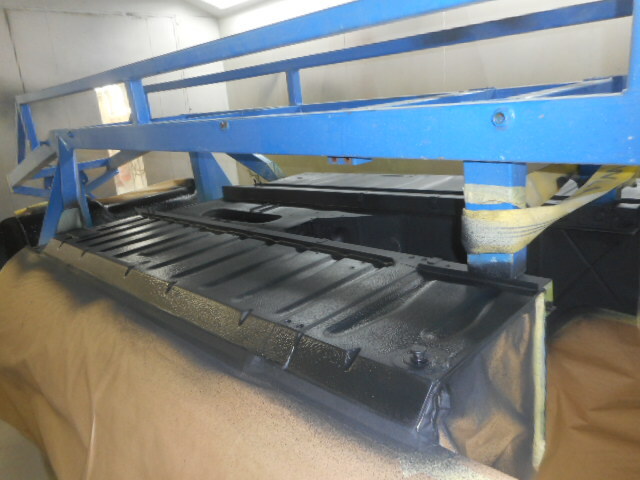 Inside of car and bulk head sprayed in top coat. 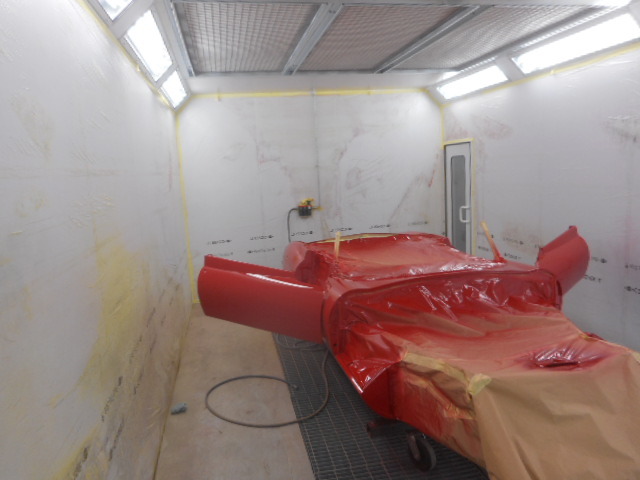 Underside and inside of car masked up, car in booth ready for top coat. 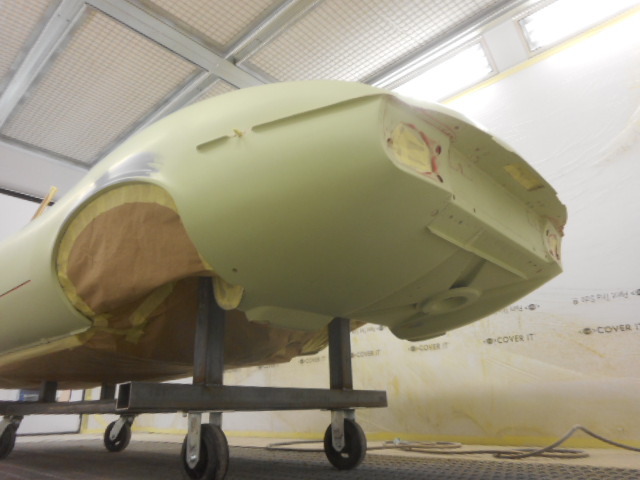 Body shell in booth. 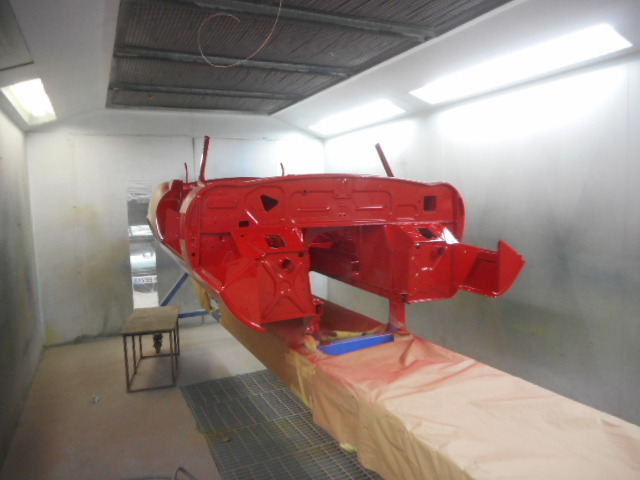 Sprayed in top coat. 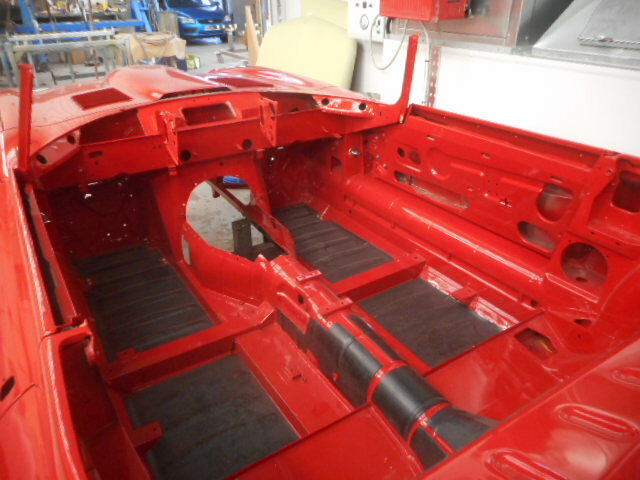 Inside of E-Type Jaguar’s floor with sound deadening pads.